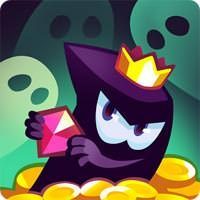 Try your thieving skills in this unique blend of platformer and PVP multiplayer game. 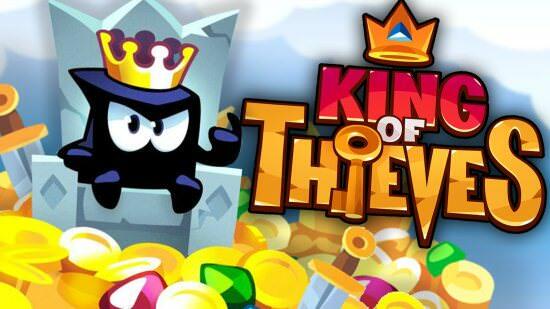 Have a mind-blowing experience with the King of Thieves, one of the best Google Play games of 2015. Compete with more than 24 million users around the world and create your own clan of thieves. Break into enemies’ dungeons and steal their treasures. Prove you’re the smartest and the most skillful. PLEASE NOTE: the game is extremely addictive and inevitably leads to increasing the number of your friends. STEAL PRECIOUS THINGS. Collect gold and gems from other players to become the wealthiest thief in the world. DEFEND YOUR LOOT. Design a dungeon defense to prevent other thieves getting into your treasure storage and making a robbery. See them being caught in your traps. Muhaha! CLAIM THE THRONE. Boost your skills and contend with other participants worldwide while leaving your rivals at the bottom of the leaderboards. CREATE AND JOIN GUILDS. Find some reliable dudes and build your own clan of thieves. Win epic guild battles! CUSTOMIZE YOUR OUTFIT. Choose a cool costume which perfectly suits your personality. Stand out from the crowd. TRAVEL AND EXPLORE. Test your agility through 112 single-mode levels or dive into an underground world of user-generated content. Get ready to celebrate one of the most colorful festivities of the year: the Brazilian Carnival! At the community’s request, you can now buy and send in-game items to your friends! * Imposed grid on the dungeon live tatem. We download and set over the original (for root devices we roll over the original (the signature is always correct). 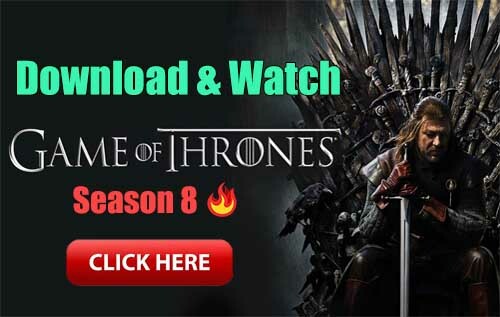 Or by a clean installation – root is not required) then we pull data from google (the game must be connected to google play services) otherwise loss of progress. dlandroid.com © 2015 - 2019. All Rights Reserved.